Denise DeCaito calls herself a typical Italian grandma. Her three grandkids call her “Nonna,” and DeCaito said the whole family congregates in the kitchen, where something is always cooking. 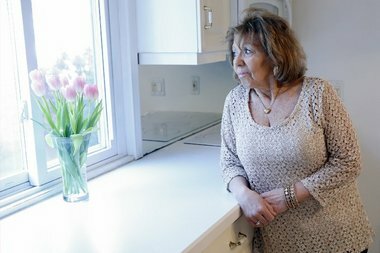 After teaching kindergarten for 40 years, she retired, and she and her husband Ben decided to remodel the kitchen of their modest North Caldwell home. But rather than a new kitchen, they got a fight with a contractor — who told us he will return their $6,000 deposit. But they still don’t have their money, 16 months after the contract was signed. 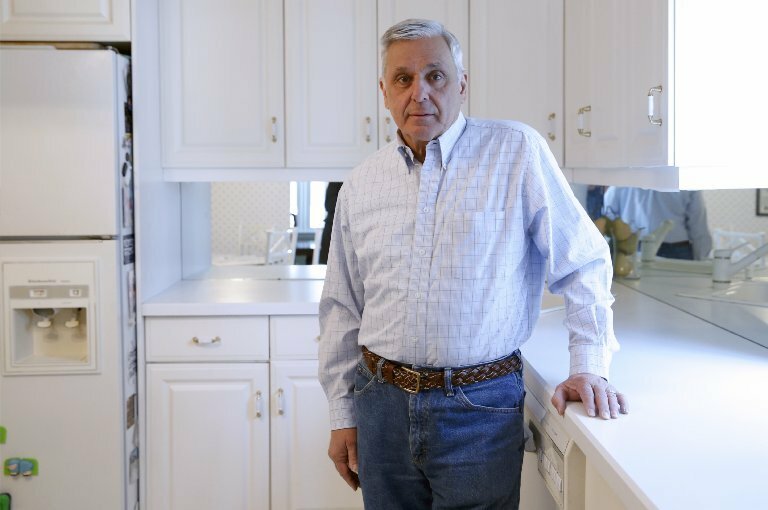 Before signing with Supreme Kitchens and Baths of West Long Branch, the couple received three estimates from different contractors, but they weren’t in love. They decided to get one more estimate from Supreme, which had done work for DeCaito’s cousin. The company wasn’t local, but owner Wemerson Rezende came to the home and met with the couple, DeCaito said. That was on Nov. 23, 2013. Two weeks later, the couple decided to add an island to their new kitchen, so they gave Rezende another $1,000 deposit. The total job was to cost $12,741. The holidays and winter weather were coming, so the couple asked for the job to start in March. Rezende told them he was going away in March, so they agreed on April. But in April, DeCaito became ill with pneumonia, so she needed to delay construction for a few weeks. The rest of the timeline was detailed in emails DeCaito sent to Rezende. On May 20, DeCaito said, she texted Rezende asking if they could meet about the appliances for the kitchen. On June 11, DeCaito said, she told Rezende that she picked out and priced the appliances, and she texted him the product numbers. But he never responded, she said. He promised to be there in the late morning, DeCaito said, and she cleared her calendar. DeCaito, her husband and daughter spent several days emptying the kitchen cabinets to get the kitchen ready for demolition. But on July 16, by 12:30 p.m., Rezende still hadn’t arrived, DeCaito said, so she left him a message. She left another message, and so did her husband, but still, no one called back, DeCaito said. A couple of weeks passed and a new appointment was made for July 28. DeCaito said Rezende came with his contractor, who marked up the walls to prepare for the installation. Ben DeCaito in the kitchen of his North Caldwell home. The DeCaitos say they gave $6,000 to a contractor to redo the kitchen in Nov. 2013, but no work has been done yet. “I regret that you have made me out to be the ogre in all of this when clearly you have not been calling to apprise me of my job status,” DeCaito wrote, and she asked for her deposit to be returned. In the second week of September, the couple and the contractor set several more start dates, but Rezende either cancelled or didn’t show up, DeCaito said. By the week of Sept. 20, she called and left several voice mails, but Rezende never returned her calls, she said. In a Sept. 28 email, she again requested her deposit be returned in seven business days. Rezende finally returned DeCaito’s calls on Oct. 1. According to DeCaito, he promised to refund her deposits. Rezende said he was waiting to find out what he needed to charge her for “storage fees,” DeCaito said she was told. The cost was about $60 for three months, and he would know for sure by Oct. 7, she said Rezende told her. DeCaito said she should not be responsible for any fees because she it wasn’t in the contract, and she said it wasn’t her fault that Rezende never gave her a start date or kept appointments. By Oct. 14, DeCaito was still waiting for word, so she sent another email. “I have not received my returned deposit nor have any messages from you about the amount of the storage fee you said you must charge me,” she said, and she again asked for her deposit to be returned. She decided to complain to the Better Business Bureau, which reached out to the company, but the company did not respond to the BBB inquiry, records show. On Dec. 2 — more than a year after the first deposit was given — Rezende finally called. He explained he and his attorney were working to return the cabinets Rezende bought for her job, and that she would hear more in two weeks, she said. Rezende said he knew it wasn’t right that he had her deposit when he didn’t do the work, DeCaito said. He offered to pay back the deposit in installments, she said, and DeCaito said she’d be willing to take it. But two more weeks passed, and, DeCaito said, she heard nothing. She called Rezende on Dec. 19, and left a message saying all future communication should be in writing, and that she would take him to small claims court. Again, he didn’t return the call, the homeowner said. Bamboozled reviewed the contract paperwork, DeCaito’s detailed timeline of events and copies of the emails she sent to Rezende. We also took a closer look at the company. The contract was signed with Supreme Kitchens and Baths of West Long Branch, which lists Wemerson Rezende as one of the principals. That company shares a phone number with Supreme Cabinets Wholesalers of Eatontown, whose business filing with the state was revoked but is currently in the process of being reinstated, according to public records. Rezende is also listed as a principal of that company. Neither company has complaints with Consumer Affairs. The Better Business Bureau lists a Supreme Kitchen Wholesalers with the same West Long Branch address as the company on the DeCaito contract. It has a ranking of “F,” the BBB said, because the company didn’t respond to inquiries about three of the four complaints it received. On the contract, state law says such contracts must have a start date and an end date. The DeCaito contract had neither. It also doesn’t list a Home Improvement Contractor registration number. We sent Rezende an email about the status of the deposit, but he didn’t respond. So we called him a couple of days later. “I’m going to give them the money back,” he said. During our five-minute conversation, Rezende started to explain his side of the story. He said he was still talking to the manufacturer, which wanted to charge him a restocking fee for the items from the DeCaito project. “I’m suing them for that,” he said. We asked when he filed the suit. Rezende clarified. “I’m still waiting. I’m going to give them another week and then see what my lawyer says,” he said. When we asked how much money he paid to the manufacturer, he refused to say, and the conversation ended. The DeCaitos say they are pursuing their legal options. “He just can’t take $6,000 and not give it back for no service done,” Denise DeCaito said. Have you been Bamboozled? Reach Karin Price Mueller at Bamboozled@NJAdvanceMedia.com. 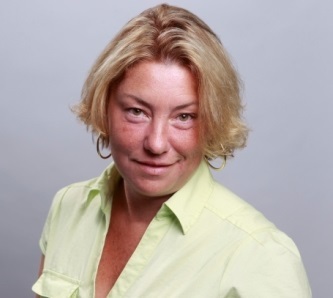 Follow her on Twitter Mueller is also the founder of NJMoneyHelp.com.